Tree-J has been really busy this last week. 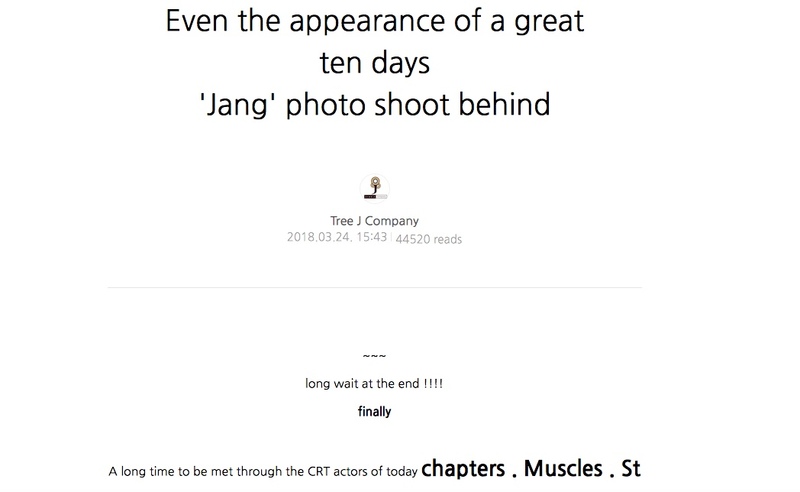 Not only have they updated Jang Kuen Suk Official Facebook page (https://www.facebook.com/AsiaPrinceJKS0804), but they also put a new blog up! Asia_Prince Facebook page was updated with a video entitled "Vogue Behind Cut Slide Show" featuring several photos that were not used in the March 2018 Vogue Korea issue. If you're not following JKS' Facebook page, you should! Anxious to see the whole blog? Click the link and Go! And if you want to follow Tree-J's blog and are a Naver member, click on this little button on the top right. When the "+" sign and green type appear, you'll be following Tree-J's blog.